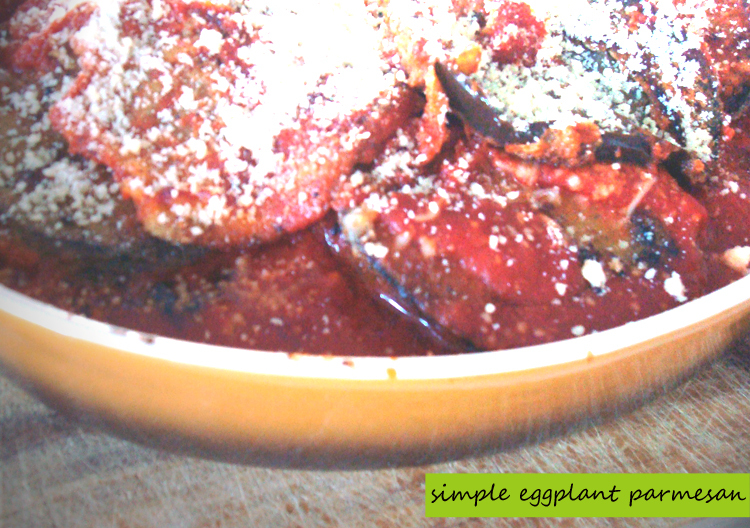 There are several different types of eggplant parmesan but I have developed my own simple recipe that is easy to put together for a family dinner during the week or a get together on the weekend. I think you’ll love this easy version of this winter/fall recipe that really warms up your home. After all eggplant slices are browned, grab a 13×9 casserole dish and pour 1/3 jar of pasta sauce into the bottom of it. Create a single layer of eggplant on top of the layer of sauce. Add another layer of sauce to the top of eggplant. Add a layer of mozzarella cheese and sprinkle a little parmesan atop the mozzarella. Create another eggplant/sauce/mozzarella/parmesan layer and a third if you still have eggplant disks. ***Serve with side garden salad and my Chocolate cake for a complete fall meal. Hope you can enjoy this autumn dish it’s one of my favorites!